Synopsis: A businessman thwarts his wife’s bequest of an estate to another woman. Did You Know? Emma Thompson received 13 nominations from various awards for her performance, including Oscar, Golden Globe, and BAFTA nominations. She won all 13 awards. Quotables: AUNT JULEY: All the Schlegels are exceptional. They are British to the backbone, of course, but their father was German, which is why they care for literature and art. I would have been entirely bored with this film were it not for its cast of British titans. 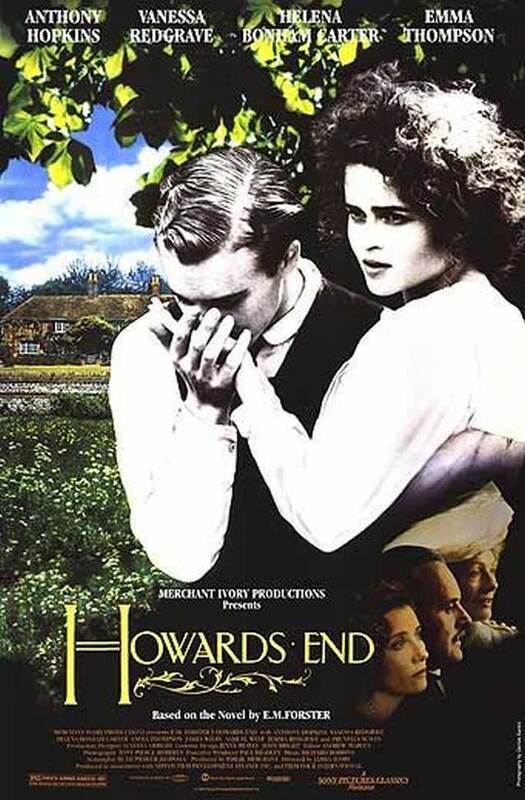 It is always a treat to watch the likes of Emma Thompson, Helena Bonham Carter, Vanessa Redgrave, and Anthony Hopkins, and they are simply tremendous in Howards End. Its sophisticated screenplay make it so delightfully British.